A very interesting concept, which can be brilliant or not, depending on how much the comedian relies on props, facial expressions, gestures or costume. 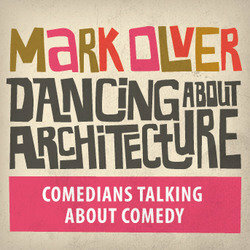 The host of Comedy in the Dark is Mark Olver and it starts with the lights on (as are the transitions as it wouldn’t do to have the comedian fall off stage or get lost on the way from backstage). The guests today were Rob Rouse, Margaret Thatcher (and a picture of Winston Churchill) and John Kearns. Mark did an excellent job as host, with some audience interaction, most notably with the lady who had 200 small (foot tall toy) cows and the Brooklyn couple who had to describe their wedding buffet for Mark to judge. Rob Rouse had obviously done Comedy in the Dark before, as he came prepared with a chair and a backpack with a couple of surprise props. He started by removing his trousers (in the dark of course) and talking about chickens, children and marriage. I’d talk about the props he used (and the ones he pretended he might also have in his bag), but I think he could be a regular to this gig and it’s better to keep the surprise factor there. Following Rob was Maggie (in full costume) and Winnie, which needed half of the invisible prop work described before the dialogue, which sort of spoiled it a bit. The last spot, John Kearns, played a character which seemed to rely on seeing him in his hillbilly costume to complete most of the jokes. So, it’s a fascinating concept, but not one that will work for every comedian. It is very dark in there, but be warned the lights can come up unexpectedly. It’s also warm and comfortable, so sit down the back if you come in a bit tired. Well recommended to “see” at least once, and the guests change daily (on a board out the front of the venue). 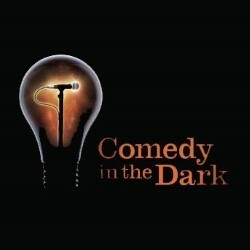 Comedy in the Dark is on at Just the Tonic at The Community Project. This was not your normal chat show. Starting with the news that advertised guest Dan Antopolski had gone missing, it then meandered around how the comedians on the stage; Josh Widdicombe, John Robins and Eric Lampaert, had started their day. John confessed to breaking his egg yolk and throwing a bowl of soup at the wall, then had to spend five minutes explaining how these two facts were not directly related. He did give the tip that to spice up any vegetarian meal, you should just crush up salt & vinegar crisps into it (how about the meaty flavours? there’s no real meat….). At this point three young Chinese people in the audience apologised, haltingly explained they don’t understand English, and left. Mark Olver, the host, criticised his flyer crew, but I think if you can sell a chat show to people who don’t understand the language, you probably deserve a medal. Mark then steered the conversation deftly towards the comedians on stage and their feelings about the state of their careers. Eric (who the UK viewers will know from the Sky broadband ad, where he is picked on by Bruce Willis) gave a lot of good tips about how to approach casting calls and told a few scary stories about bad gigs. Josh tried to explain that, although he is famous off the telly and stuff now, he is still working on his career and trying not to be confused with Jon Richardson (by name or voice rather than in looks, I’m guessing). John did some excellent impressions of the others on stage and got in some very funny interjections on his fellow comics. At one point of the show, when Eric started talking about Bruce Willis, the comics and audience were asked who was the most famous person they’d met, and the girl in front of me said Alan Rickman, as she’d been one of the schoolchildren in the Harry Potter films. Doesn’t that make her famous too? I suppose half of Edinburgh featured in the films at some point. The hour went by very quickly and the intimate show was more inviting to it’s small audience than usual to become involved in what might have been a private conversation about the comedians, than the usual chat show with a given a scripted set of jokes or simply PR about shows to see. If you love comedy and the people who perform it, this is an excellent show to see. Mark is a very relaxed and unobtrusive host, allowing the comedians full rein to explain their views and letting the conversation flow. The guests (who are listed on the flyer) for the next few weeks are quite impressive and if I didn’t have to leave, I would becoming back to see it again.